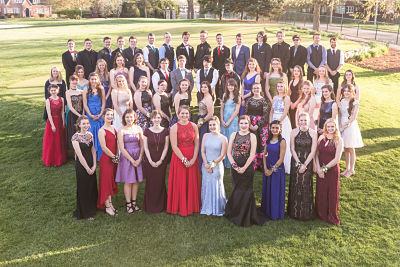 The Twelfth Annual CAHSA Prom will be held at the Bloomington Country Club located at 605 Towanda Ave. in Bloomington, IL. After Prom will be held at Grace Church located at 1311 W. Hovey Ave. Normal, IL 61761. Parking is available on the premises for students driving themselves. Students who are dropped off by parents must be picked up at 11:00 pm. If you will be leaving earlier than that, please make arrangements with a chaperone at the door when you arrive. The early dismissal time and pick-up driver will need to be recorded by a parent upon admission. No one will be allowed to leave early without a parent's written permission or personal presence. Please make arrangements for transportation to and from the Prom and After Prom before the event. The adult committee members will be serving as chaperones throughout the evening. Home school parents will be supervising activities at the After Prom as well. There are no in-and-out privileges; once you enter the building, you will stay indoors. There will be no re-entry if anyone leaves early. Early dismissal is only possible with a parent's written permission or presence.